VA mortgages are among the best home financing options available today. Veterans have earned the right to secure this unique mortgage opportunity that offers 100 percent financing and no mortgage insurance. Work with an experienced VA loan officer that is familiar with the underwriting guidelines imposed by the veterans administration. 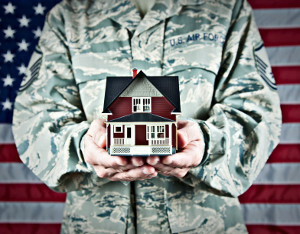 Keep in mind that the VA does not make mortgages, only approved VA lenders make these loans. Not all VA lenders have the same experience. According to regulations set by Veteran Affairs, a two year waiting period is required before borrowers can qualify for a VA loan after a short sale. VA loan guidelines require that the borrower re-establish a good credit rating after the short sale to qualify. Borrowers with a short sale will lose access to VA funding that was used to repay the debt until the remaining balance is paid. As such, the borrower will not be able to secure as much funding for a new VA loan. If there were no mortgage delinquencies (30-day late payment) in the 12 months before the short sale, you might be able to re-enter the home ownership market right away with no waiting. For borrowers to qualify for a VA loan after a foreclosure, borrowers who have had a foreclosure or been presented a deed-in-lieu of foreclosure must wait two years after the trust deed sale before having eligibility returned. However, this does not necessarily restore full entitlement if the foreclosure involves a VA loan; as with short sales, for a borrower to receive full entitlement, he or she must repay the losses suffered by the VA as a result of the foreclosure. Once the loss is repaid, the VA borrower will have full entitlement restored. Chapter 7 Bankruptcy: According to VA regulations, borrowers must wait a minimum of two years from the discharge date of the bankruptcy (not to be confused with the filing date) to qualify for a new VA loan. Lenders will require a thorough account and explanation of the bankruptcy be provided. Also, borrowers must have good credit standing and a steady income following the bankruptcy to qualify for the loan. Chapter 13 Bankruptcy: For a Chapter 13 Bankruptcy, VA guidelines specify that borrowers may still be considered for a VA loan if bankruptcy charges have bee paid on time for at least twelve months. Additionally, borrowers must procure written endorsement from the court trustee before proceeding with any new VA loan applications. As with Chapter 7 Bankruptcy, a full explanation of the circumstances of the bankruptcy will be necessary to become eligible. Furthermore, borrowers must have established a good credit score following the bankruptcy and must qualify financially for a steady income and steady employment.